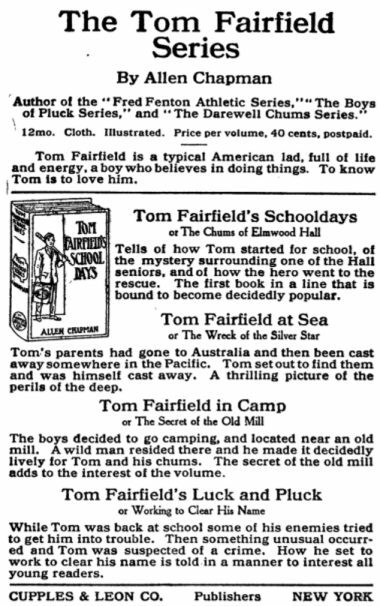 The Tom Fairfield is a five volume adventure series for boys. 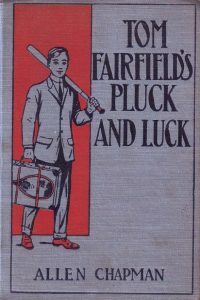 Created by the Stratemeyer Syndicate and issued under their house name Allen Chapman from 1913-1915. 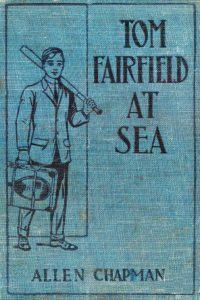 Syndicate stalwart Howard R. Garis ghosted the Tom Fairfield series. 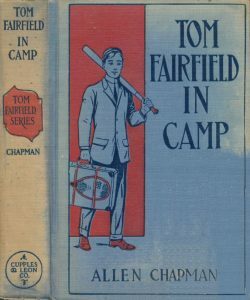 Allen Chapman was a popular Syndicate house name, used on The Darewell Chums, Fred Fenton, Railroad Series, Radio Boys, Tom Fairfield, and other publications. Light blue cloth binding (various shades observed), dark blue lettering; pictorial front in red & dark blue. Red spine shield. Same for all books. Illustrations: Frontispiece on coated paper. Dust Jacket: White coated paper, dark blue and red illustration same as the book cover. Dust Jacket: Buff to white coated paper, full color artwork. Same for all books. 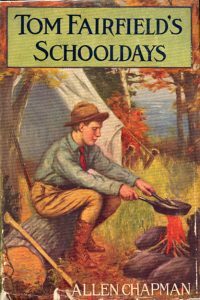 "Tells how Tom started for school, of the mystery surrounding one of the Hall seniors, and of how the hero went to the rescue. The first book in a line that is bound to become decidedly popular." "Tom's parents had gone to Australia and then been cast away somewhere in the Pacific. 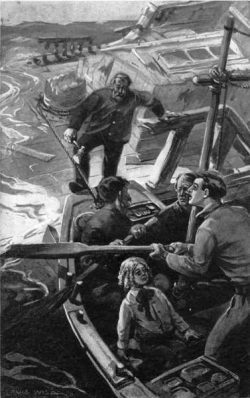 Tom set off to find them and himself cast away. A thrilling picture of the perils of the deep. "The boys decided to go camping, and located near an old mill. A wild man resided there and he made it decidedly lively for Tom and his chums. The secret of the old mill adds to the interest of the volume." "While Tom was back at school some of his enemies tried to get him in trouble. Something unusual occured and Tom was suspected of a crime. How set he to work to clear his name is told in a manner to interest all young readers." 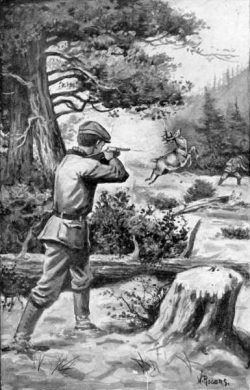 "Tom was only a schoolboy, but he loved to use a shotgun or a rifle. 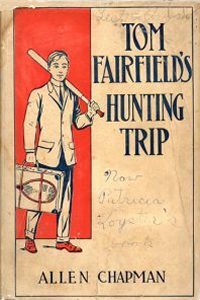 In this volume we meet him on a hunting trip full of outdoor life and good times around the campfire.""